Our little 50 seater landed at the domestic terminal in the centre of the city, a hubbub of activity after a week in Greenland. Mum and I had two days to explore together before we went our seperate ways and I headed to Thorsmork to volunteer. With little time to spare, the next morning we made our way along the waterfront to the city centre. 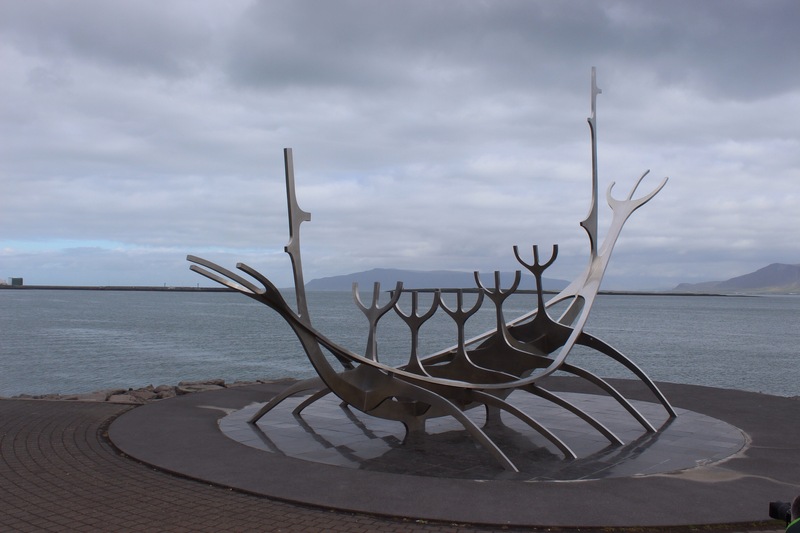 With urban bustle all around, the water and the mountains beyond told a different story, and the Viking boat sculpture on sat as a reminder to simpler times, and Icelands recent settlement history. 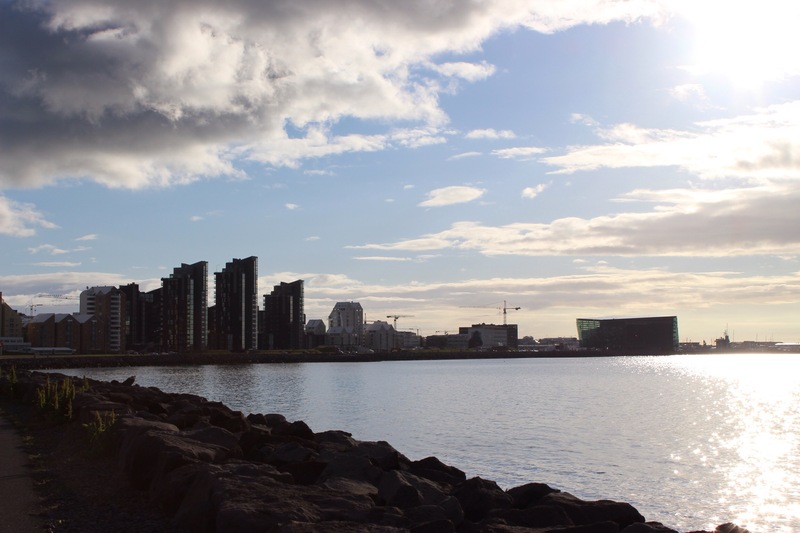 We had a morning picnic of Skyr and cinnamon buns, the two best reasons I can think of to return to Iceland, before joining a walking tour of the city. We learned of a country with a love of trees, despite its distinct lack of them, so much so they acknowledge the cities best three trees every year with a ceremony and a visit from the Major. The city was familiar, a nice feeling, but had plenty more to explore. 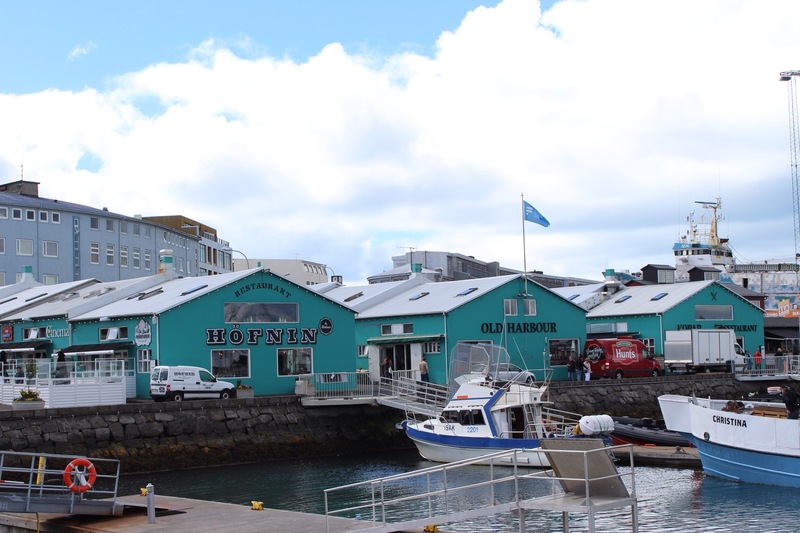 We took coffee at the old harbour, which now has picturesque warehouses serving the fish caught locally. One side tourists leave to whale watch, the other side they sample whale meat, a strange contrast. 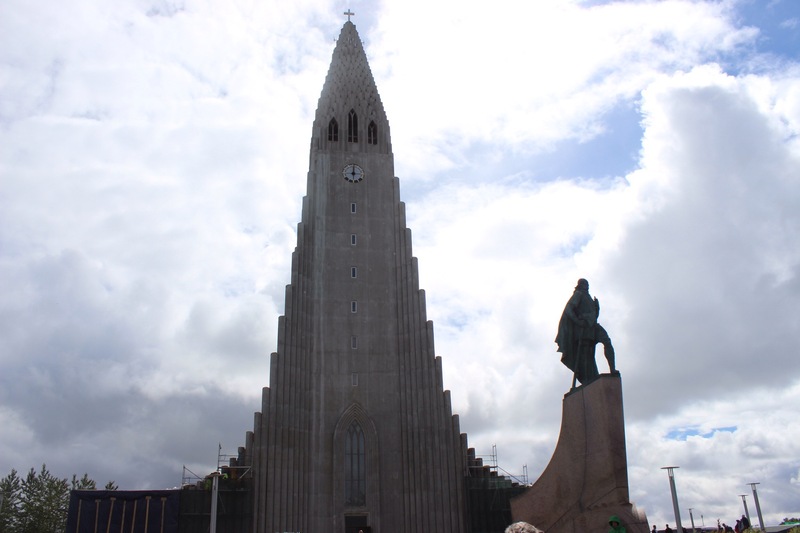 After perusing souvenir shops, the next stop was Hallgrimskirkja, the impressive church on the hill, from where each daily life can be observed. 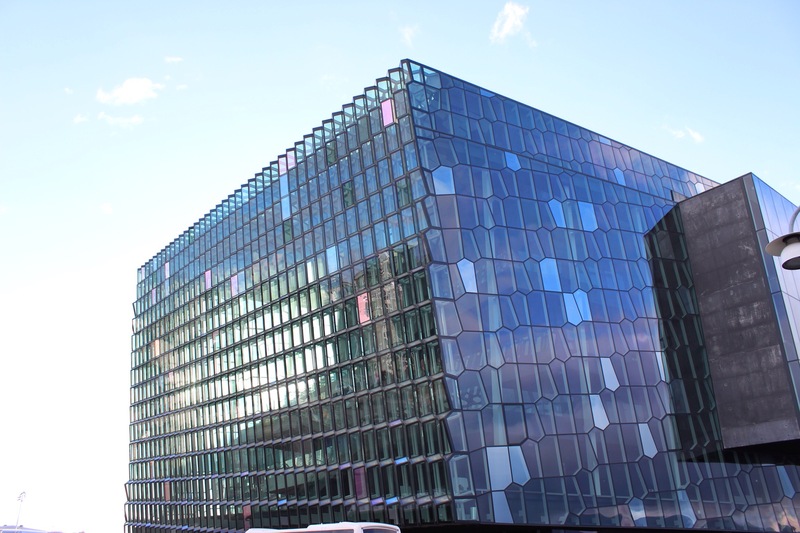 Exploring its side streets and green parks, we got familiar with its colourful exterior, but wanted to experience its interior, and booked to watch a show at Harpa, the cities impressive glass opera house. How to become Icelandic in 60 minutes was a hilarious show, picking fun at the quirks of their Icelandic people, whilst giving the rest of the world a fair bit of stick too. 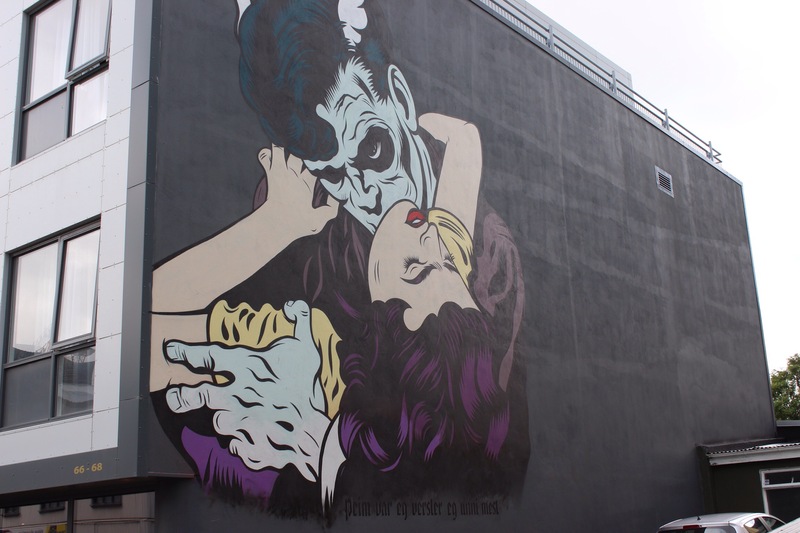 Whilst we saw idle aid dancing, revolted at their love of fermented sheep testicles and learnt of their endearments to children, we both grew ever fonder of this ‘biggest little nation,’ so powerful that ‘when Europe sneezes, the rest of the world stands still. The next morning our gold bus picked us up for a day on the Golden circle. 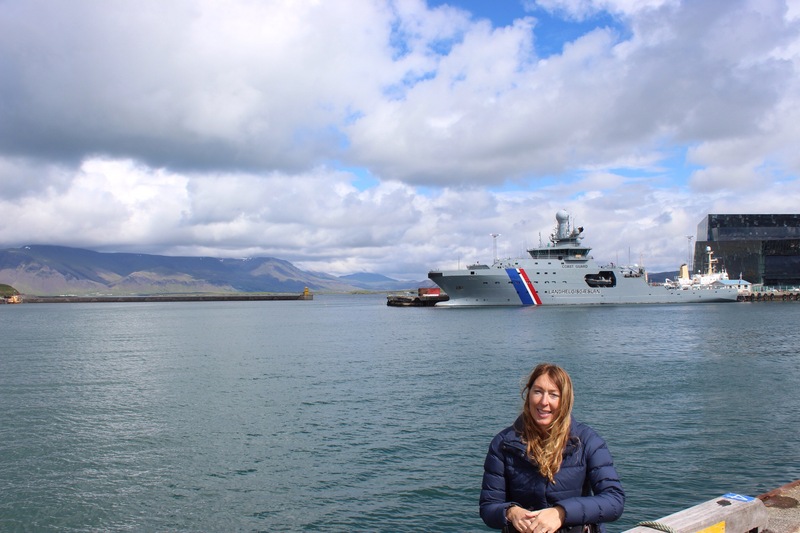 We were hurtled from the city where two thirds of Icelanders live, and on to the countryside where we climbed up and up, before dropping into the flat coastal part of the country, to Hveragerdi. 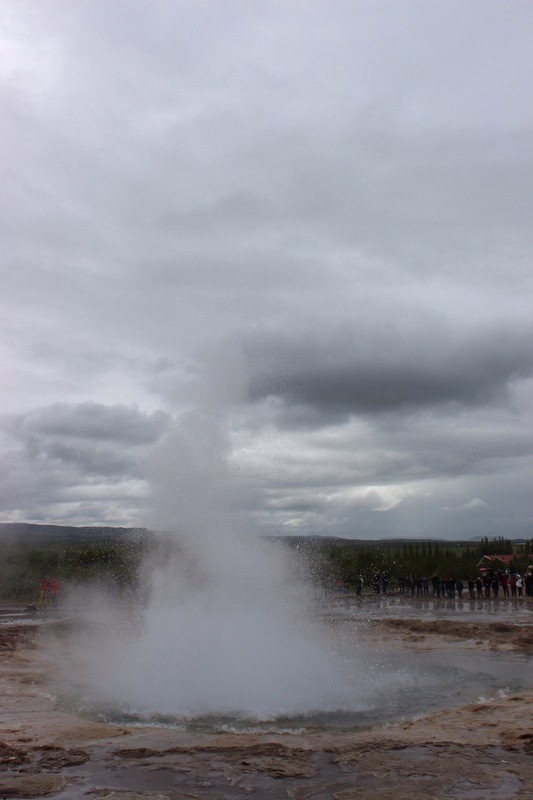 In this part of the country the geothermal nature of the country is evident. The hills are alive and the ground rumbles regularly enough to remind residents of the beast within this young land mass. 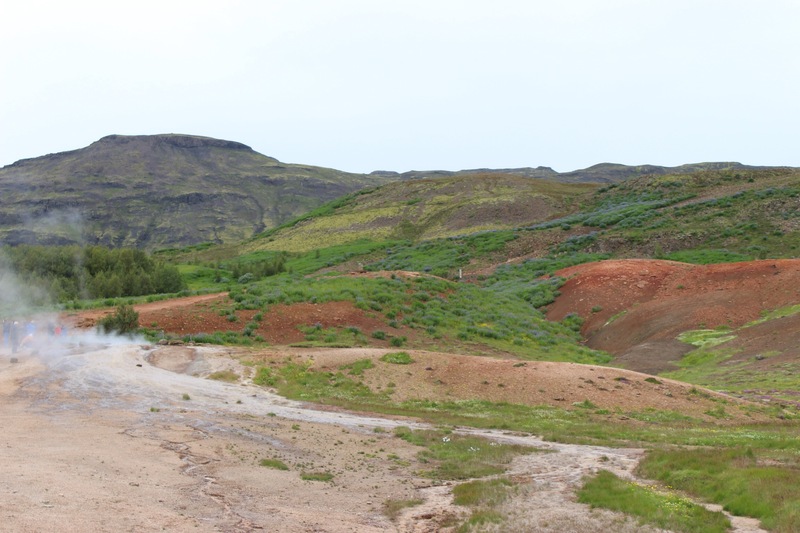 Hveragerdi experienced a devastating earthquake on 29th May 2008 when the earth opened up revealing new land and hot springs. Now in the flat part of the country we could see inland the huge mountains and plateaus, and out to sea, the Westman Islands on the horizon. 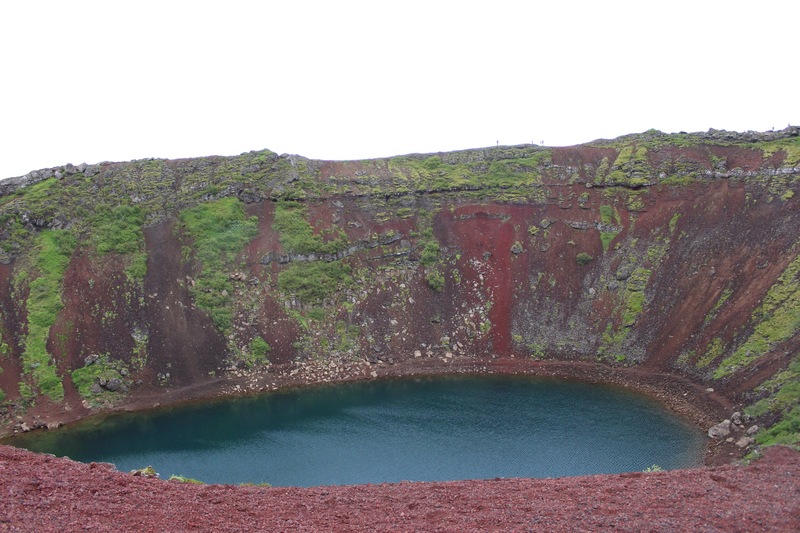 We turned inland and stopped at Kerid crater lake. The red soil was clear long in the distance, but a closer look showed lush vegetation growing from the fertile soil. 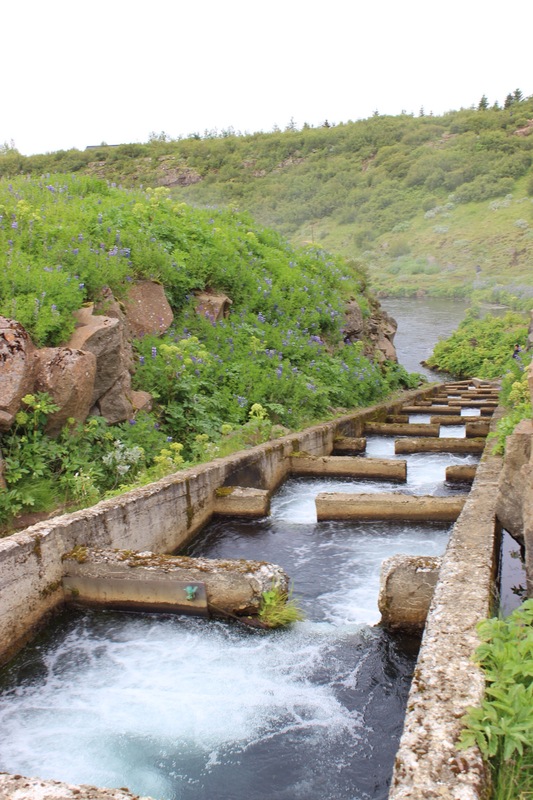 We also visited the Faxi waterfall, where Icelanders had built a ladder for their salmon to continue their journey up stream. 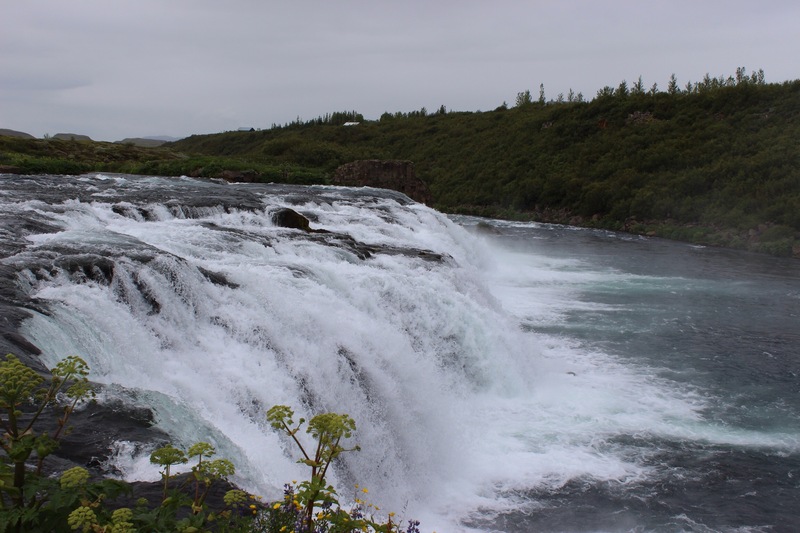 The three impressive attractions visitors flock to are the huge Gulfoss waterfall, a Geysir which shoots every few minutes, and Thingvellir, the European and North American continental plate site. 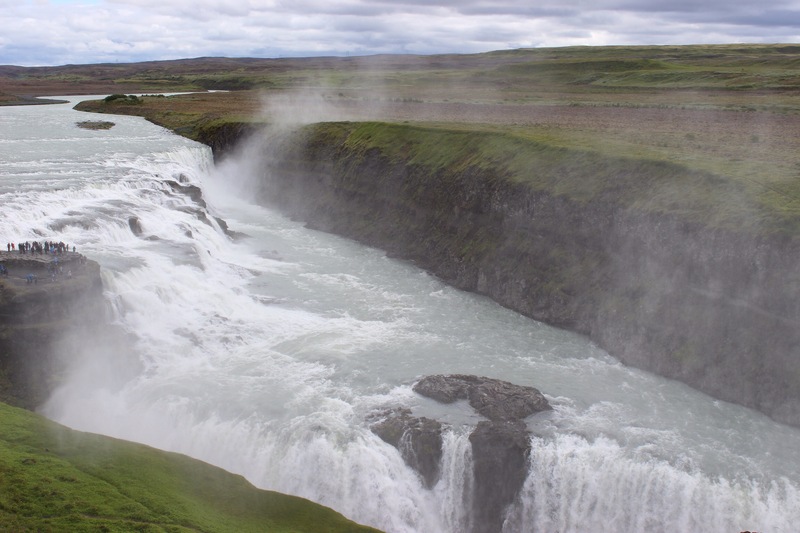 We awed at the power of the rushing ‘gold waterfall’ which with two falls, spits water into huge plumes which fill the air. 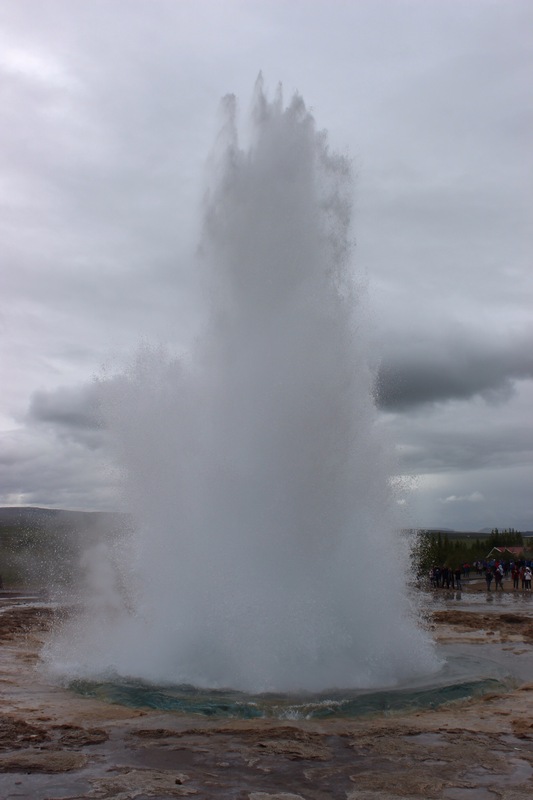 Stokkur, the Geysir, made us jump every few minutes as huge jets of water fired into the air 30metres, releasing the heat which had built up underneath. 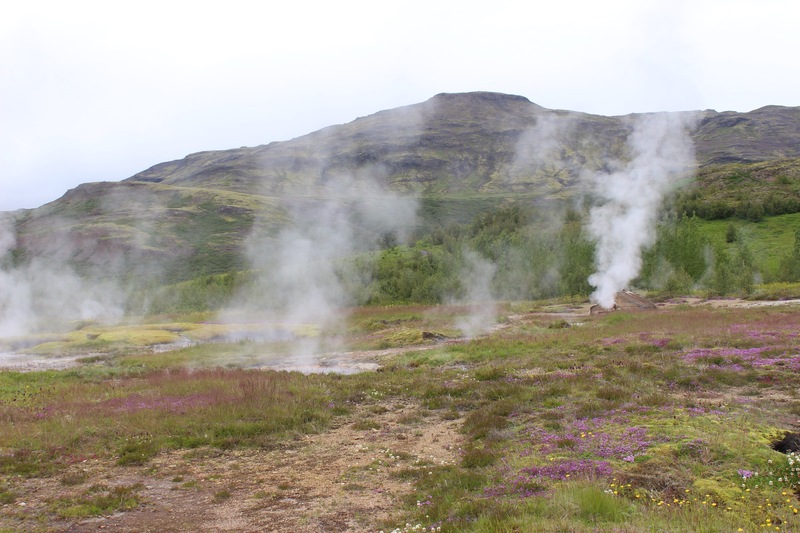 With incredible power came evidence of geothermal all throughout the area, hot streams and smokey ground, hinting at what lay underneath. 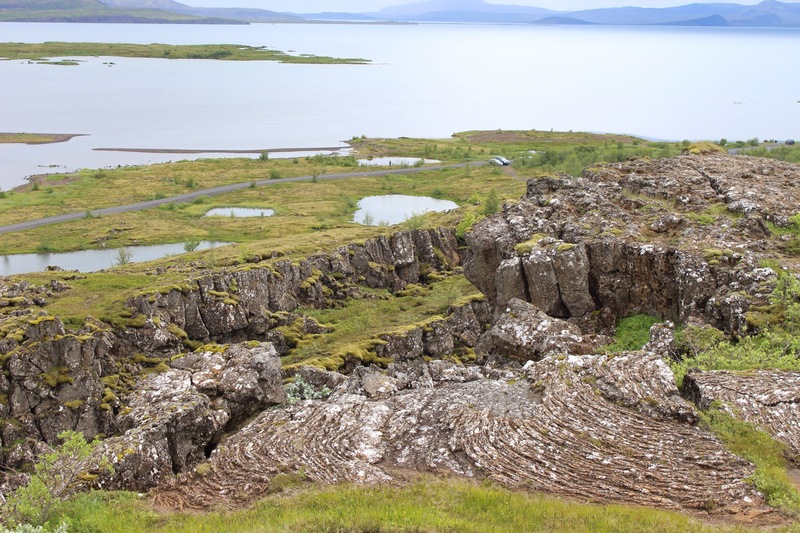 Thingvellir sits a little further away, both significant for its geological precedence, and historical significance, as this was the site of the worlds first parliament, where Icelanders first met once a year. 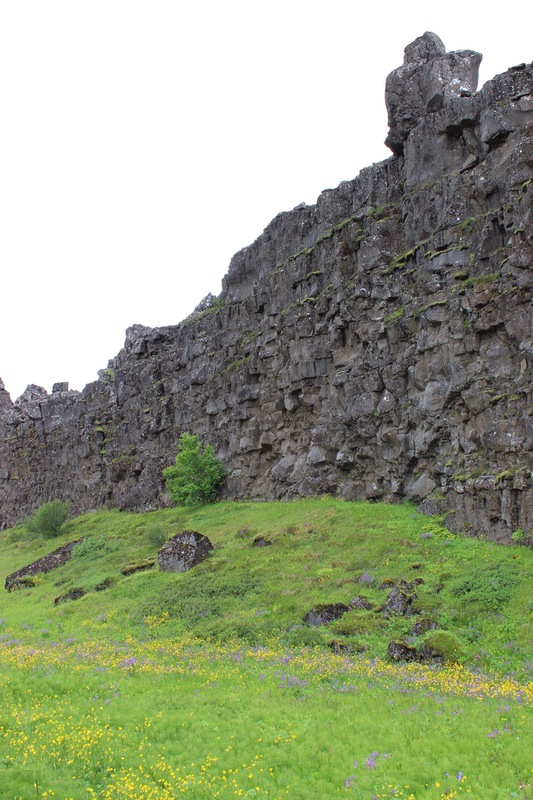 Walking next to the huge cliff face of the North American plate, it is clear to see why this area offered protection from the elements. 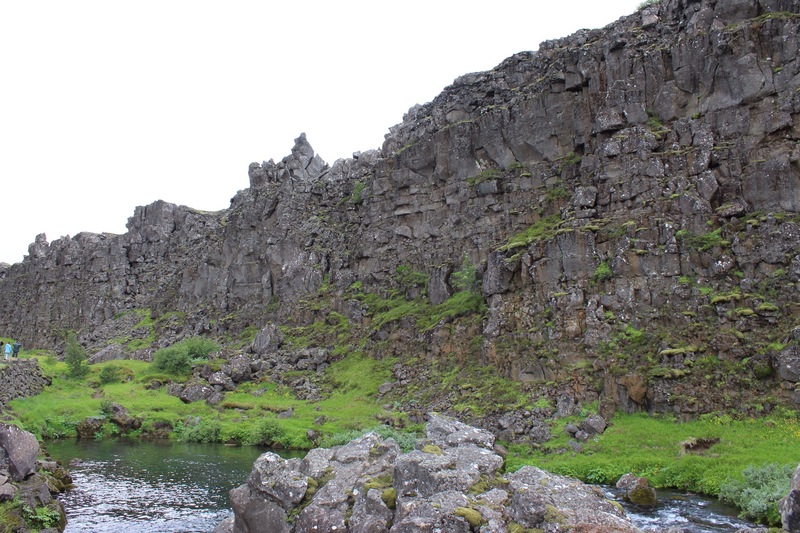 A huge basalt rock stands tall, and in the distance, the European plate can be seen. 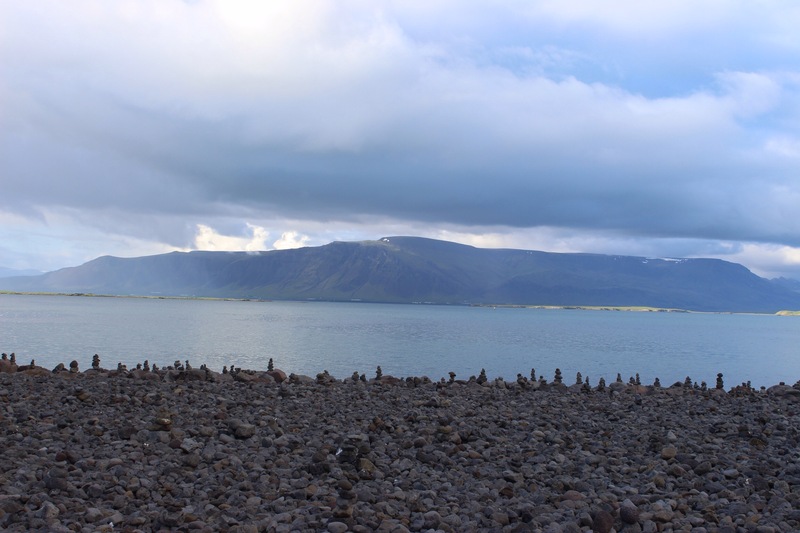 As they move apart each year, a new tectonic plate is forming in this no mans land. In such a beautiful site there would once have been gruesome judicial sentences, such as beheading and the drowning of women. Back on the bus we made for the campsite for another big bowl of camping food- pasta, and a final night under canvas before some early morning goodbyes, Mum for home, me for Thorsmork. Why go? 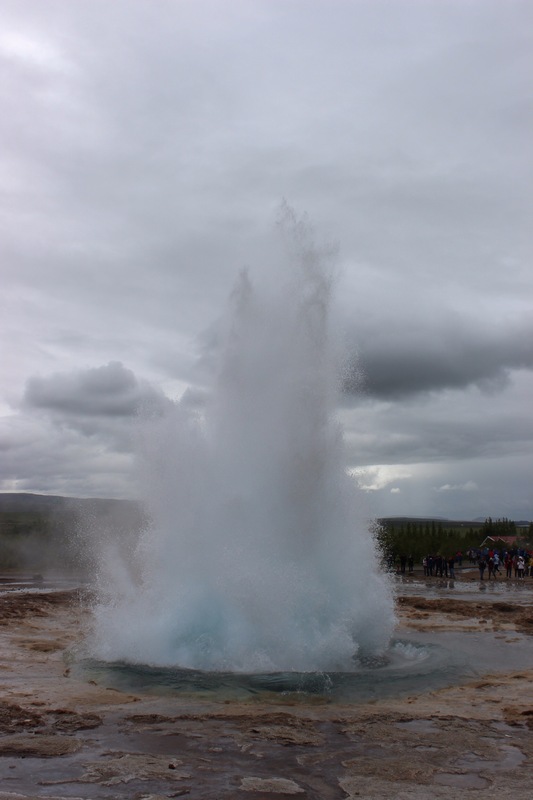 Incredible geothermal, geological and geographic landscapes and a big dose of Island humour. Money: Icelandic Kroner, about 135 to the pound. It’s an expensive country, and the kroner is currently strong, so expect to pay a lot for travel here.